North Korea and Venezuela held a series of high-level meetings and signed multiple agreements in Caracas on Tuesday, the office of President Nicolás Maduro reported, with the two countries vowing to strengthen diplomatic, economic, and commercial ties. The delegation is being led by the DPRK’s ceremonial head-of-state Kim Yong Nam, who was greeted by Venezuelan foreign minister Jorge Alberto Arreaza and who also met with President Maduro later in the day. Kim, who serves as President of the Presidium of North Korea’s Supreme People’s Assembly, joined Maduro “to draw up strategies to project the common development of our peoples,” according to a tweet by the Venezuelan President. 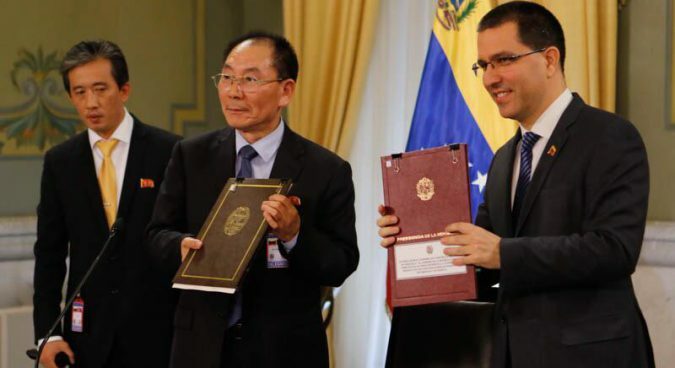 North Korean Vice-Minister of Foreign Affairs Ho Yong Bok also met with Venezuelan foreign minister Jorge Arreaza, signing two agreements mainly focused on diplomatic protocol and mutual interests. The first agreed to “the abolition of the visa requirement for diplomatic and service passport holders,” according to a statement from the office of Venezuela’s Vice President. The other agreement signed Tuesday was a “memorandum of understanding for the establishment of political consultations on matters of common interest” between the two foreign ministries. “The ideological closeness unites us and gives us strength, despite the distance between us,” Cabello added – a phrase often repeated in official dealings between the two nations. Kim also toured Caracas on Tuesday, visiting the mausoleum housing the remains of former President Hugo Chávez. The Venezuela trip appears to have been in the works for some months, as vice-foreign minister Ho met with officials at the Venezuelan Embassy in Beijing last August to “monitor and deepen bilateral relations” and make “preparations for the 44th Anniversary of establishing relations,” according to the embassy’s Twitter account. 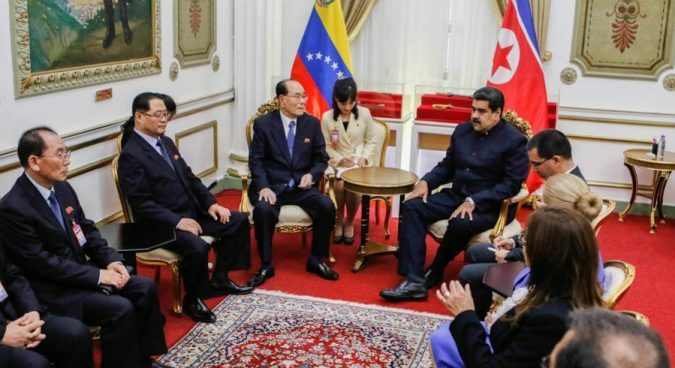 DPRK ambassador to Venezuela Ri Sung Gil, appointed in 2015, also paid Maduro a visit in August, and greeted Kim and his entourage in Caracas on Tuesday. Though the two countries first established diplomatic relations in 1974, the DPRK did not open an embassy in Venezuela until 2015. 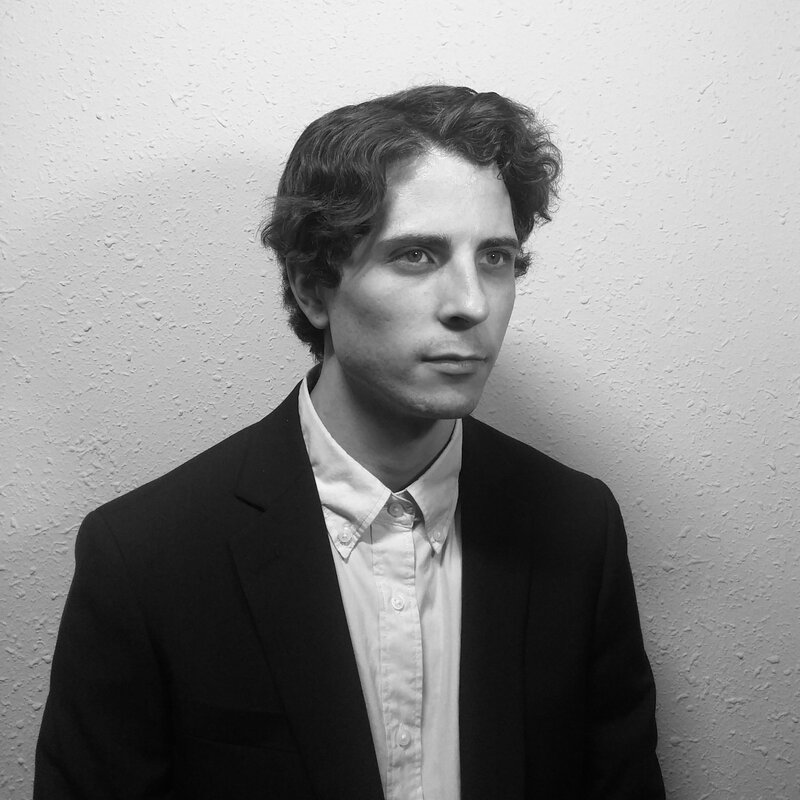 Venezuela has yet to open an embassy in Pyongyang. Caracas is the first stop for the delegation’s Latin America trip, which will see Kim visit Cuba before attending the inauguration of Mexico’s new President Andrés Manuel López Obrador on December 1. North Korean state media first announced the trip on November 18, and Kim Yong Nam and a large group of government officials were spotted arriving in Beijing two days later. The Korean Central News Agency (KCNA), however, announced his departure from Pyongyang on November 24 without explicitly mentioning the date, as Kim and his team appear to have stayed in Beijing from the 20th until leaving for Caracas. His visit to Cuba will come just weeks after the landmark summit between new Cuban President Miguel Díaz-Canel and Kim Jong Un in Pyongyang, and also follows the confirmation of new DPRK ambassador to Cuba Ma Chol Su last week.